The Distinctiveness Sub-Committee were very pleased to welcome two members of the Ethos team to come and share the work carried out this year by the Worship Groups. 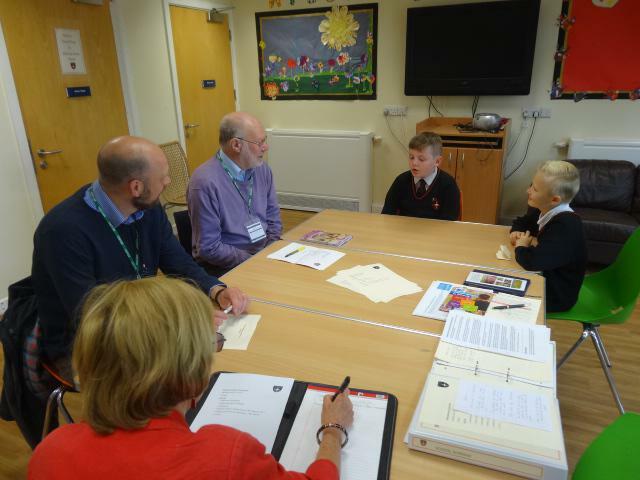 The governors asked plenty of questions and listened to the thoughtful responses of our children. It was evident that plenty of hard work has been going on this year in the development of worship and we thank all those children who have helped in any way.